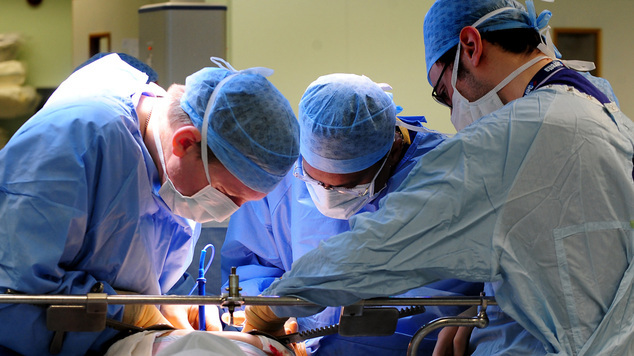 Surgeons should stop being “paternalistic” towards patients and instead simply give them their options and “let them choose”, according to new guidance for medics. The Royal College of Surgeons (RCS) has warned that if NHS trusts do not make changes to the processes they use to gain consent before surgery, they risk facing a dramatic increase in the number of litigation payouts. In the wake of a landmark-ruling at the Supreme Court last year, which changed the rules of gaining patient consent, it has published new instructions for its 20,000 members. Ms Montgomery won the money from Lanarkshire Health Board in Scotland after accusing medics of failing to properly advise her of the risks of being a “diabetic of small stature” before she gave birth to son Samuel. He was born with serious disabilities as a result of complications during delivery in 1999 and she argued if she had been advised of the risk of shoulder dystocia – when a baby’s shoulders are too wide to pass through the pelvis – she would have had a caesarean. NHS practice has traditionally been to leave it to doctors to decide what risks to communicate to patients – in what the RCS called a more “paternalistic approach”.